This entry was posted in Recipes - Bread, Recipes - Breakfast, Recipes - Snacks and tagged Cane sugar free, millet flour, raisins, scones, Yeast free. Bookmark the permalink. 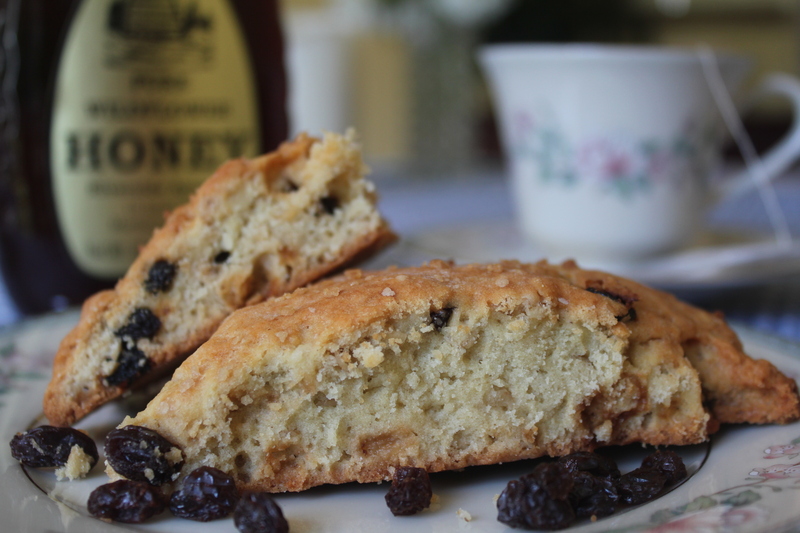 My bright spot on September 11, 2011, was biting into this scone. I have been inspired to make them this week, adding some fresh blueberries. I loved the millet flour, which has a light nutty flavor. Excellent and delicious!! I am glad that you enjoyed this scone, and that it gave you a moment of loveliness during an overall sad day. I love that you used millet flour. I often cook with millet, but have yet to try the flour. I will give these a try! It’s sad, but I have not tried making scones yet. I want to try it some time. 🙂 Visiting via FTF. I’ve never had millet flour. It’s good to know that it does taste good. Thanks for letting all of us know. Just as I was reading this recipe, Dr.Oz happened to come on and say whole fat yogurt is much better for our health than low fat yogurt, so that was good too. 😉 Enjoy your day. Thanks for linking to Joy of Desserts. What beautiful scones, the millet flour is going to give them a very special flavor. I can’t wait to try them. Hope you are having a great week end and thanks so much for sharing with Full Plate Thursday.